Did you know you can now order your Just Eat takeaway from Curry Nights here on View? If you fancy a night in and don't feel like cooking why not order a takeaway from Curry Nights. 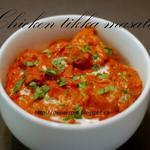 They offer a delicious menu of Indian meals which you can have delivered right to your front door. Do you work at Curry Nights? What did you think of Curry Nights? Much better than with the previous owners, and much friendlier. Some unusual dishes.